Alaska knows cannabis. Marijuana was growing in the shadow of the towering Matanuska Mountain Range when in 1975 the Supreme Court of Alaska ruled in Ravin v. State that the state constitution built in a resident’s right to privacy and that included the right to cultivate, possess and consume cannabis in the privacy of a resident’s home. Over the years a complex thicket of laws ensued, creating work for cannabis lawyers since. On November 3, 1998, Alaska formally legalized the use of medicinal marijuana. Medical marijuana requires a doctor’s prescription and application for a Marijuana Registry Card. Some concern exists among applicants that this could affect their ability to purchase firearms. If cannabis is for a minor, written permission of the parents who are designated caretakers is required with a prescription. November of 2014 recreational cannabis was legalized for residents over the age of 21 to be consumed in private. Initially six plants were allowed in the home with no more than three flowering, one to four ounces. Later this was doubled for two adults living in the home, always away from windows. For hash or concentrates, 3 ounces per person were stipulated. Store dispensaries for cannabis arrived late. Governed by the Alcohol and Marijuana Control Board, a surge of almost twenty opened in 2017. Yelp rates them. Tourists and residents can purchase one ounce for about $22.00 dollars in cash. The dispensaries have struggled to keep up with the demand. The marijuana is taxed, not by percentage of sales but by quantity sold. $50.00 per ounce for buds and $15.00 per ounce for leaf, stem, etc. Taxes reached almost a million dollars last year. When cannabis is transported by car, it must be in a sealed container, preferably in the trunk. Passengers may not smoke. Driving when high can lead to a DUI and serious consequences. Smoking is strictly prohibited anyplace near minors like schools or recreational areas. Also, in correctional or medical facilities or public areas such as airports, use is prohibited. Federal parks, preserves, and buildings are naturally off limits. Cannabis may not be taken out of state and is illegal in cruise ships and planes. Alaska is exuberant in feelings about cannabis, but anxious to stay below the federal radar. For this reason, a cannabis club, Pot Luck Events, opened in 2015 was recently closed by the state for various infractions. Until a workable business model for marijuana lounges can be devised by the Control Board, any potential clubs are in limbo. By referendum, established villages, as well as boroughs and cities may opt to remain “dry” for alcohol business or likewise, opt out of the commercial marijuana industry. Palmer/ Wasilla, near Anchorage by Alaska standards, have chosen to do so. The federal restrictions on cannabis create a variety of problems. The most serious may the difficulties of conducting a business in cash. Movement of cash is expensive and dangerous. In the U.S., several robberies have occurred because suitable baking arrangements are obstructed by federal law. Alaska was also forced to shut down a lab for state mandated testing of marijuana when Wells Fargo pulled the mortgage after the bank realized that the building was being used in a cannabis related business. To address these problems, Jeff Merkley of Oregon and Lisa Murkowski of Alaska have introduced a measure with a bipartisan group of senators to be able to deposit receipts in the bank as other businesses do. This is the Secure and Fair Enforcement Banking Act of 2017 (SAFE). Representative Ed Permutter of Colorado introduced a companion bill in the House. Other initial sponsors of the Senate bill included Ron Wyden, Rand Paul, Patty Murray, Elizabeth Warren, Catherine Cortez Masto and Brian Schatz. Michael Bennet and Corey Gardner joined later. Late March a bill known as the Rohrabacker-Blumenauer bill passed which will protect medical cannabis from federal interference. 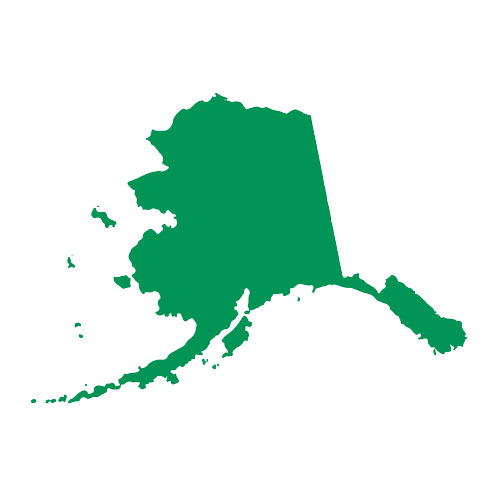 As public pressure encourages such legislative efforts, major and sometimes dangerous stumbling blocks for the cannabis industry can be removed and Alaska’s often uninhibited enthusiasm for cannabis can proceed unhindered. 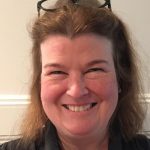 A marketing and publishing professional and the Director of Publicity at GB Sciences, Liz Bianco monitors media activity and the “State of the States” on cannabis in America.